This wall name plate consists of an engraved insert that slides into the holder. Choose your size and frame color and customize this executive wall plate with your custom name or text. Take your pick from many color combinations. 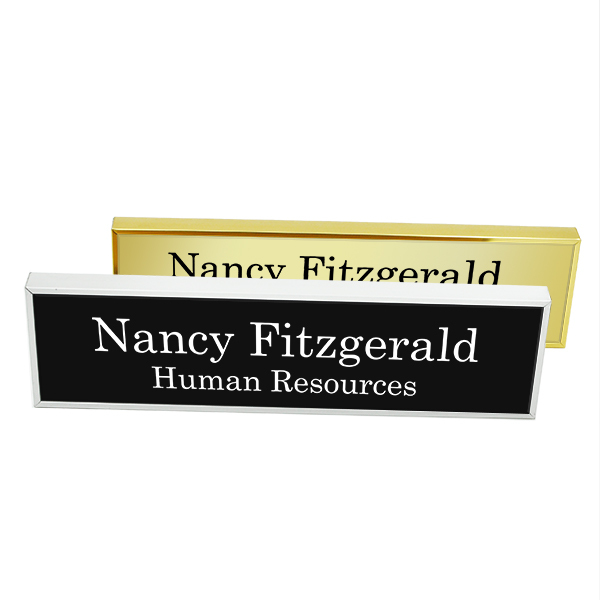 You can feature your name and job title with two available lines of text on the engraved plate and give it a professional touch with a gold or silver holder.